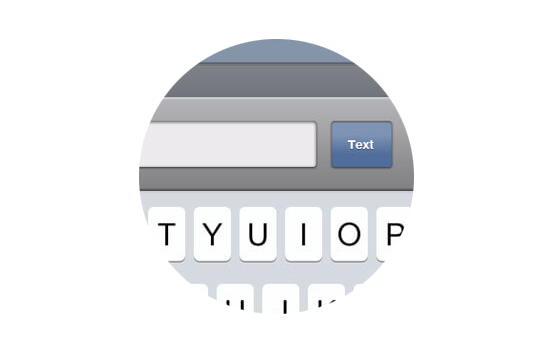 One solution for chat AND text. 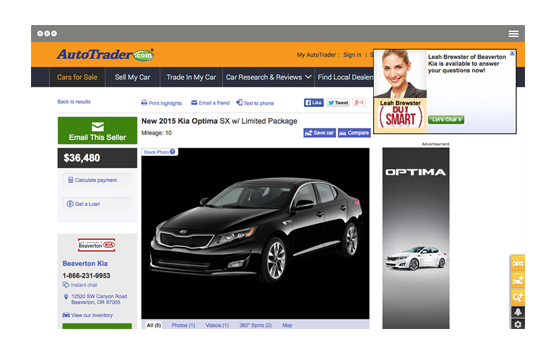 One solution that works on your websites AND 3rd-party advertising AND any device. 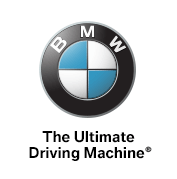 And all backed by BMW Genius-trained professionals who manage the conversations you might otherwise miss, 24/7. With Contact At Once!—proven at more dealerships than any other—it’s easy. With Contact At Once!, you need not compromise. More connections. More conversations. More sales opportunities. Be there with real-time, on-screen help the moment car buyers want it (whether mobile or desktop). Then use the extra insight and tools you get (behavioral and geo-location data, live visitor tracking, real-time translation, etc.) to personalize the experience. You can even stream live video! Text with buyers almost anywhere your inventory is listed, and empower your team to answer from any device...even record and text videos! We support the latest in compliance assistance (with privacy regulations like TCPA), lead routing, video sharing and secure, trackable mobile answering. 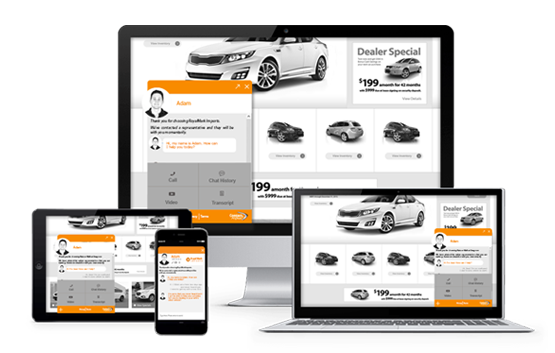 Dealership websites, mobile sites, OEM sites, emails, third-party ad listings, banner ads, landing pages, social media...wherever shoppers find you, they can chat or text with you. Even better? 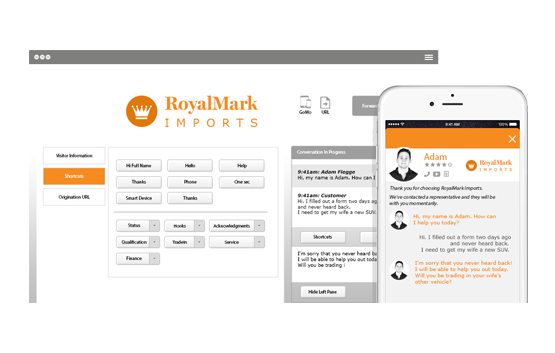 Your team receives and responds to all those sales conversations through a single app! 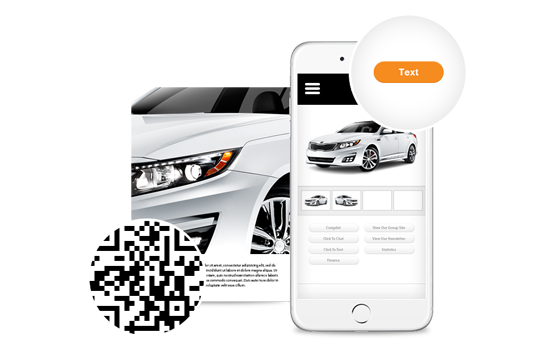 Our all-in-one messaging solution helps your dealership be there, ready to help whenever customers reach out. From mobile apps so your team can respond at home to a team of professionals to manage coversations on your behalf (up to 24/7), we’ll make sure you don’t miss an opportunity. Shoppers can message you no matter the device they’re using to research (smartphone, tablet, desktop) and your team can respond just as seamlessly, no matter the device they’re using! Contact At Once!’s mobile and desktop apps make these instant connections possible...even if you need to switch from desktop to mobile mid-conversation. Transcripts - Every chat and text message is recorded and emailed to the manager of your choice, promoting accountability, training opportunities and quality assurance. Compliance Management - With built-in permission-based rules, automatic opt-outs and tracking, your dealership has access to every contact, every message and more to help with compliance management (like for the TCPA). CRM Integration - Lead data from chat and text conversations post to your CRM, and valuable customer information is always tracked. And yes, we already integrate with most leading industry CRM systems! Make your every engagement smarter, more relevant and more likely to convert a browser into a buyer. From chat and text performance reports to behavioral targeting and live visitor tracking, Contact At Once!’s rich analytics can help your team enrich customers’ experiences and pinpoint improvement opportunities. Want to manage all chat/text conversations? Help your team provide the best digital experience and make meaningful connections with this self-managed, all-in-one messaging software. Get it all, from the only webwide chat to secure, integrated texting and the expert backup needed to respond instantly anytime (up to 55 conversations managed on your behalf). High-volume dealership? Expand coverage with up to 130 chat/text conversations managed on your behalf every month. 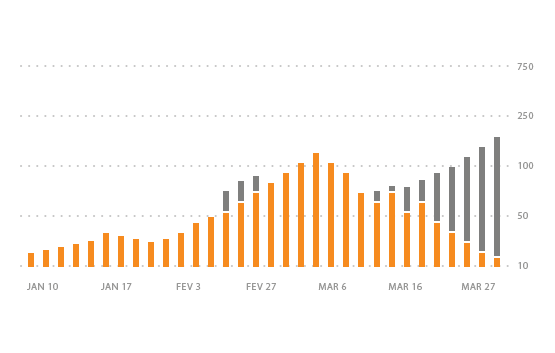 Scale managed chat/text coverage to meet your dealership’s exact needs. Additional coverage is available in bundles of 25 managed conversations every month. Copyright © 2015, Contact at Once!